The Calgary Zoo is both proud and excited to be a new member of the IUCN, International Union for Conservation of Nature. Founded in 1948, the IUCN brings together states, government agencies, and a diverse range of non-governmental organizations in a unique world partnership: almost 1,300 Members and more than 15,000 volunteer experts in 185 countries. As a Union, the IUCN seeks to influence, encourage and assist societies throughout the world to conserve the integrity and diversity of nature and to ensure that any use of natural resources is equitable and ecologically sustainable. The IUCN searches for pragmatic solutions to conservation problems and provides the world’s most comprehensive and influential assessments of species and ecosystem statuses – sounding the alarm when action must be taken to prevent the global extinction of species. Through its six Commissions, IUCN draws together expert volunteers in project teams and action groups, focusing in particular on species and biodiversity conservation and the management of habitats and natural resources. They are also the only conservation organization with international observer status in the UN General Assembly. One of the Calgary Zoo’s key conservation species through their reintroduction work is the Vancouver Island marmot. IUCN builds on the strengths of its Members, networks and partners to enhance their capacity and to support global alliances to safeguard natural resources at local, regional and global levels. To become an IUCN Member, organizations must show a substantial record of activity in the conservation of nature and natural resources. As a Member, the Calgary Zoo will continue to address key environmental needs in the areas of species reintroduction and community conservation and will take an active role in the IUCN Programme. Indeed, The Calgary Zoo already provides direct support to the IUCN via the Reintroduction Specialist Group, which is Chaired by the Zoo’s Director of Conservation & Science, Dr. Axel Moehrenschlager. 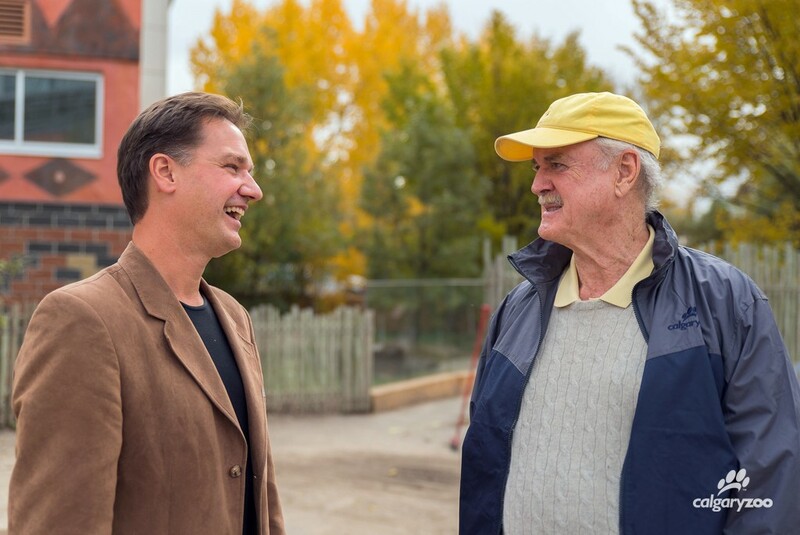 Dr. Axel Moehrenschlager and John Cleese chat about the zoo’s conservation work. How can YOU help us in our mission? Find out how to support us save species.